Happy National Comfort Food Day. What Are You Making? Today is National Comfort Food Day which means we should all talk about the delicious things we're going to make tonight while at home watching Shark Tank instead of heading to a hot yoga class and detoxing with green tea in an attempt to prep our bodies for next week's onslaught of endless holiday parties. The right comfort food is obviously a personal decision every individual must make for themselves; if your comfort food is something healthy like clementines, well, what a nice state your arteries must be in. For the rest of us, comfort food is usually created through some mix of cheeses and starches. 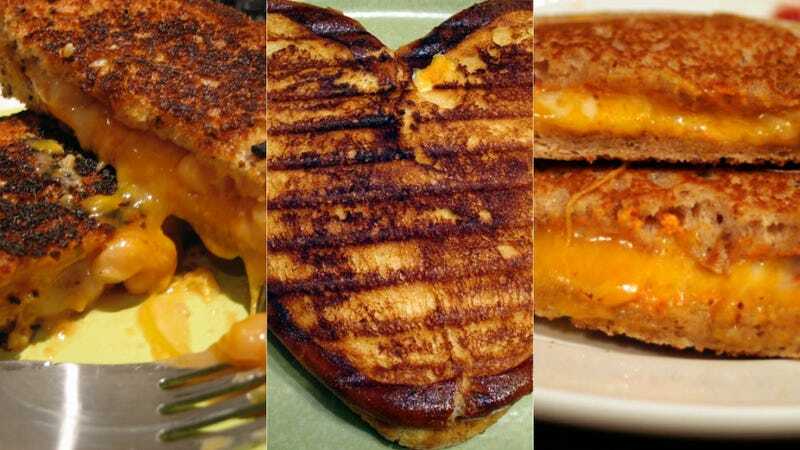 It almost seems disingenuous to say that my comfort food is grilled cheese because I eat it multiple times a week and is that really a comfort as much as a way of life? Perhaps my way of life is comfort, she pondered deeply while wrapped in a blanket blogging on her couch. Yes, that sounds right. What's your go-to comfort food? Chat amongst yourselves, I'm warming up a pan.